Bass baritone, Emyr Wyn Jones from Aberdare is in the second year of the in MA Opera Performance course. 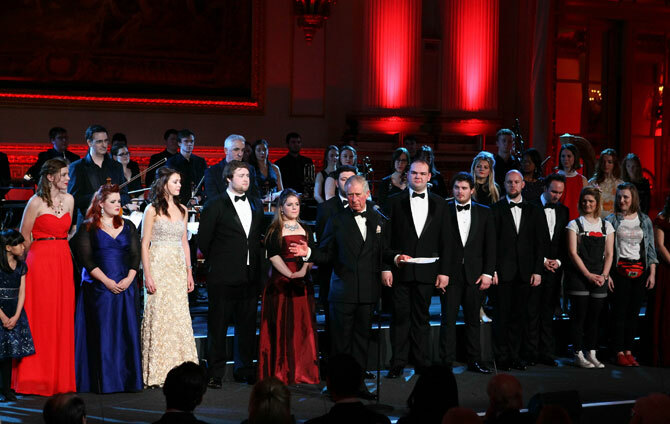 “Having been lucky enough to receive scholarships from HRH The Prince of Wales and Dame Shirley Bassey during my time at the College, it was very special to be able stand there and perform for them both,” says Emyr. The programme opened with a fanfare performed the College’s brass musicians, composed by undergraduate Daniel Soley to mark the centenary of the Welsh Guards in 2015. 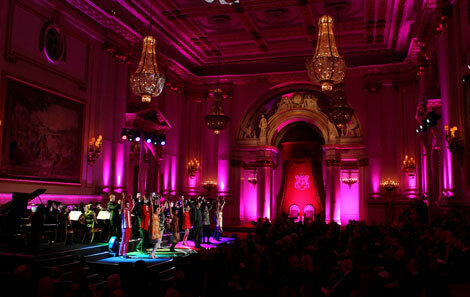 Daniel also wrote the arrangement of James Brown’s I Feel Good, one of the many highlights of the evening’s programme. Emilia Stawicki from California, USA, recently completed the MA Musical Theatre course at RWCMD. 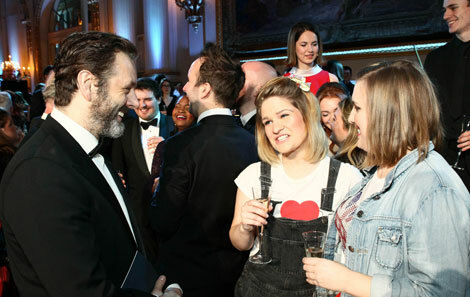 Update: Emilia’s co-performer, Kyleigh Grim (pictured above centre with Michael Sheen) has been talking to the press in her native Gettysburg about her once-in-a-lifetime experience.